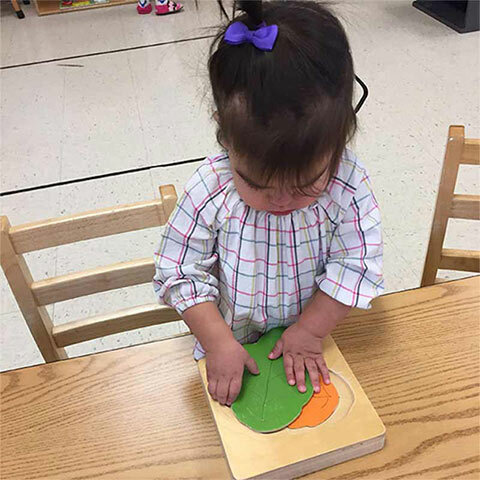 Children in the toddler classroom gain independence through care of self exercises such as dressing, baking, and toilet-training. 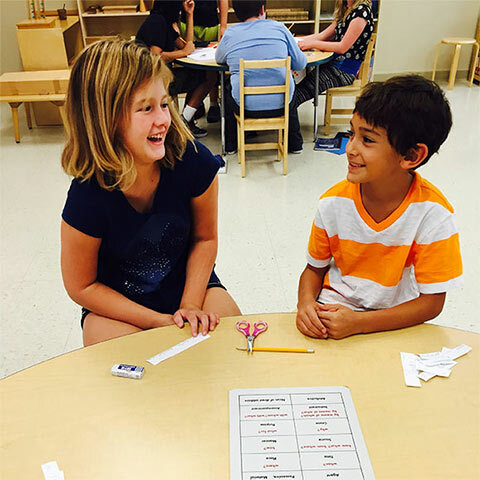 Continuous language lessons provide children with the proper terms for items within their environments. Toddlers gain confidence by learning to take care of themselves and one another. Our mixed age Pre-K / Kindergarten classes create an ideal environment for children to engage in academic pursuits. 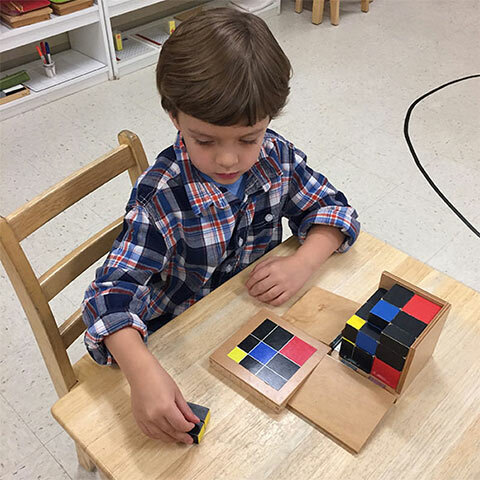 Our beautiful materials allow children to experience abstract concepts while learning collaboration and creative thinking through both independent and small group work. In the elementary environment, we offer the universe to the child. Each day, students engage in botany, zoology, geography, chemistry, physics, language studies, history, math, geometry, music, and art.